Clear Vinyl with hand screen printed sleeve & printed inner sleeve. Limited Edition of 500 Copies worldwide. 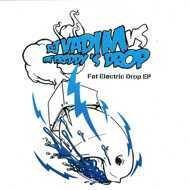 Fat Freddy’s Drop and DJ Vadim proudly present their latest collaboration - Fat Electric Drop.